Working from home with a baby is challenging. Lets first agree with this. I have never ceased work. 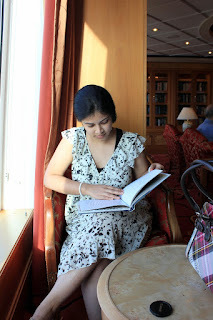 Throughout pregnancy and post-delivery, my PhD thesis writing, submission, getting the degree, writing for journals, taking up assignments from book and journal publishers, and turning my thesis into a book, has all been part of my daily routine. Its unfortunate that work from home never comes to people's notice because I do not dress up and leave the house like an office-goer does. But I cannot change the mindset of all and make them realize my work pressure and dead-lines. While, before delivery I had the whole day to me, this has become a luxury now as I have a baby to take care too. Yet, never a day has passed when I haven't opened my laptop or typed a few pages. And now with updating my Website on daily basis, my life just got more busy! Therefore, today I thought of sharing some of my tips and tricks for those women who are specifically taking care of a baby single-handedly and working from home. I mention the word "single-handedly" because while I have a husband who takes care of baby after he comes back from office, I do not have relatives like in-laws who stay with us and help in day to day activities of the baby. I also do not have a Nanny or baby care taker because I am yet to see someone else handling Daisy as carefully as me and my husband does. If I had that luxury, maybe all of the below mentioned points would seem unnecessary and I can not just work for longer hours at home but may even get out of house for a 8-9 hour office job. Lets get on with my "6 Easy Tips for Working from Home with a Baby"
Be Motivated - it is very easy to pass your time with a baby. Baby's feeding, bath, massage, sleep, play, stroll in the park, etc. takes tons of hours from the day and the time left for mum, can be spent in either sleeping or relaxing with a television. No one will demand extra work or pressure to join an office, at least for the first year. But here is where lethargy begins and one can get disconnected from the outside world. The effort required to get up, pack lunch, dress up, commute to office and slog all day, suddenly stops and one begins to enjoy the time spent at home. This is the time women can begin to rethink whether they really want to get back to work again or not. But, think about the future which is bound to come in 5-7 years when your child has joined school, tuitions, sports, class on music, dance, painting, etc. They no more need you or your assistance. This is when women begin to waste so much their productive time. Try to not let that moment come and give some hours to working always either from home or outside. While, it is controversial to say so and many will disagree, I will still express that I have always hated the tag of "house-wife" and the fear of someone calling me that, has been my motivation to work, work, and work. Set up a Work-Station - doing this step definitely provides a motivation to sit and work. A separate and dedicated zone for your work which has laptop, charger plug points, diary, pens, and good lighting (sun-light for me) will ensure your productivity. Get Help for Household Work - this point specifically caters to new mums living in India where hiring help like cook, gardener, cleaner, etc. is very easy. I have never lived abroad and cannot say anything about how to manage work and baby when help is not possible. Hiring help for household activities like cleaning, cooking, washing clothes, dusting, etc. massively changes the scenario of a new mum as compared to when she is doing all work on her own. I could have never been able to work if I had to prepare meals, tiffin for husband, shopping for groceries, washing clothes, mopping and dusting the house, and so on. Therefore, if there is an option and spending money is not much of a big deal, please spare yourself from these activities and devote it to something which will give you a sense of accomplishment, recognition and of course, money. Make Use of the Free Time - whenever the baby sleeps that is mum's free time. Utilize that time for work. Yes, I know the advise on sleeping when baby sleeps. But, if your baby sleeps for 2-3 hours, I do not think you need to sleep for all that time. If very tired, take some time to nap and rest put to work. Read my first point and understand that working from home requires a conscious effort and going through the pain of choosing between work and rest. My baby is 9 months old and sleeps very less. She takes 2 naps a day for mere half hour to one hour. If I am very lucky then she will nap for 2 hours but I have rarely seen those days. Therefore, as soon as I put her to sleep, I run to my work-station and begin. In fact, I have other pending activities like eating meals, tidying the rooms, taking bath, etc. But I know that all these activities can be done when she is awake and playing. It is only my work which needs complete attention and no distraction from the baby. Make a Daily or Weekly To-Do List - to-do lists for women at home is not just for things to buy or stock in fridge but for prioritising the work assignments. I practice making many such lists and clearly seeing which project needs to be done first and which all can be slated for later months. 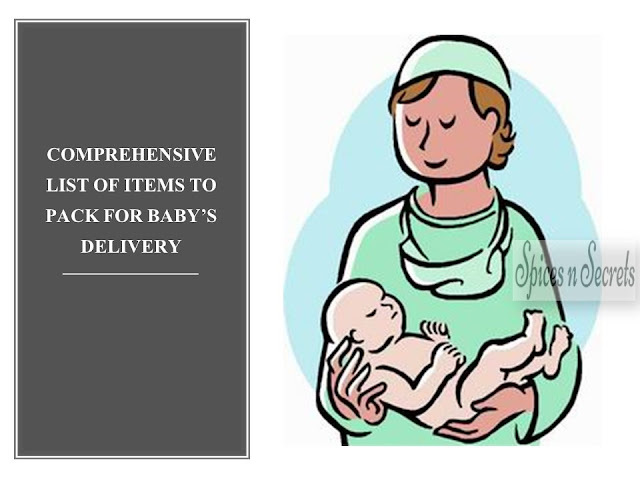 Allow baby to be Nearby and Don't Wait for Baby to Sleep and Begin Work - Do not make the mistake for always waiting for the baby to sleep and then doing work because, like I mentioned in my 4th point, all babies do not sleep for 3-4 hours and many times a day. So the choice left for mums like me is to make some play area for the baby or if the baby is younger and cannot sit or stand as yet, then put them in pram and make them sit besides you with a safe object of engagement for them. This will teach a couple of things to the baby too. They will observe that mum is doing something that is not involving smiling or playing with them and secondly, it kind of teaches the baby to not demand attention at all times and that it is ok for the adults to sit nearby but not give attention to them. So there it is, my 6 tips on working from home with a baby.